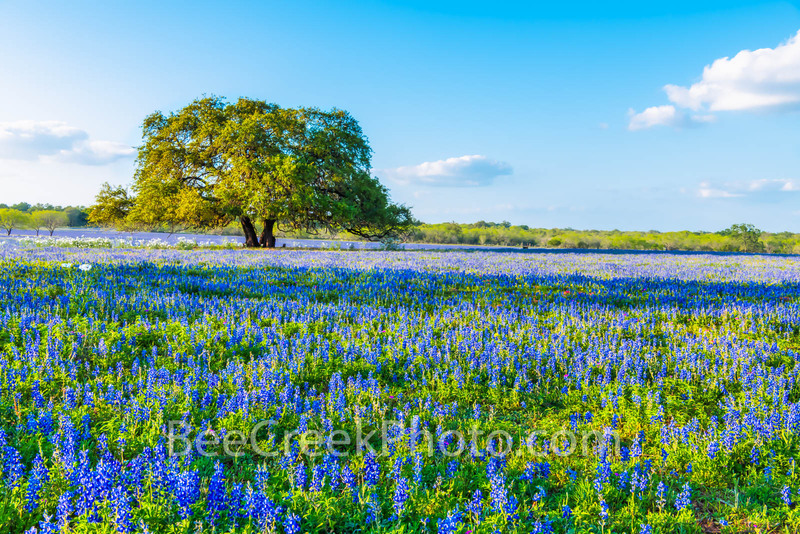 Texas Bluebonnets with Oak Tree - A wonderful old oak tree among a field of texas bluebonnets down near Poteet Texas south of San Antonio. There were a lot of field of wildflowers in this area but most had been overtaken by the poppies. There were a few in this field but it was the best we saw. All thats here is texas wildflowers bluebonnets, an oak tree, mesquite tree in the distance with a few poppies mixed in on this ranch in south texas. Photo © copyright by Bee Creek Photography - Tod Grubbs / Cynthia Hestand.